Secretary of the Interior Ken Salazar announced today the awarding of more than $13.5 million in competitive grants to 11 states for 16 boating infrastructure projects. The U.S. 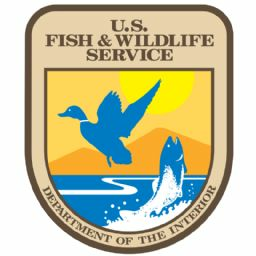 Fish and Wildlife Service awards these grants, which will help fund construction of docks, boat slips and other facilities to support recreational boating, through the Service’s Boating Infrastructure Grant (BIG) program. Funding for the BIG program comes from the The Sport Fish Restoration and Boating Trust Fund, formerly known as the Aquatic Resources Trust Fund, which boaters and manufacturers support through excise and other taxes on certain fishing and boating equipment and boat fuels. The Service will also release approximately $2.7 million to 27 states, commonwealths, and territories willing to match a smaller, non-competitive grant program known as “BIG Tier 1” funding. Grantees use Boating Infrastructure Grant funds to construct, renovate, and maintain facilities with features for transient boats (those staying 10 days or less) that are 26 feet or more in length and used for recreation. Grantees may also use funds to produce and distribute information and educational materials about the program and recreational boating. Alabama: The Alabama Department of Environmental Management, in cooperation with the Alabama Tourism Department and Baldwin County Economic Development Alliance, will receive $520,993 and match that amount with $765,411 to add an 1170-foot dock for transient recreation boats that will accommodate 30 vessels at Barber Marina. The new full service marina will also provide safe harbor from tropical storms on the Gulf Intracoastal Waterway. The California Department of Boating and Waterways, in cooperation with Bellport Anacapa Marina and their partners will receive $1,500,000 million and match that amount with $1,200,000 to demolish an old facility and replace it with a new marina to include a 52 slip addition for transient recreational boats on Channel Islands Harbor. The California Department of Boating and Waterways, in cooperation with the Los Angeles County Department of Beaches and Harbors will receive $1,314,692 and match that amount with $4,512,895 to convert 35 existing transient slips into 45 transient slips, replace the existing pumpout, and update services. Ohio: The Ohio Department of Natural Resources, in cooperation with the City of Cleveland and partners will receive $1,450,400 and match that with $509,600 to build new floating docks for 53 transient boat slips including 3 ADA accessible slips and ramp, a new shower, restrooms, laundry building, and amenities. Illinois: The Illinois Department of Natural Resources, in cooperation with the City of Rock Island, will receive $1,500,000 and match that amount with $565,000 to add a floating dock system that will accommodate 23 transient slips at the Schwiebert Riverfront Park on the Mississippi River. Maine: The Maine Department of Transportation, in cooperation with the Town of Kittery and the Kittery Port Authority will receive $242,766 and match that amount with $90,000 to construct a pier, ramp, and float system that will create new docking space for 12 transient boats. Mississippi: The Mississippi Department of Marine Resources, in cooperation with The City of Bay St. Louis and partners will receive $470,139 and match that amount with $470,139 to build a marina in an area devastated by Hurricane Katrina. Seven percent of the new marina will be for transient recreational boaters and provide 475 feet of guest moorage for transient recreational boats, safe harbor, and amenities. New York: The New York State Office of Parks, Recreation, and Historic Preservation, in cooperation with the City of Rochester, BIDCO Marine Group, and Edgewater Resources, will receive $1,450,000 and match that amount with $2,188,515 to add 64 transient slips with dockside utilities, create a deep-draft safe harbor, create an access point for the City of Rochester, and provide boater services and education on Lake Ontario. The New York State Office of Parks, Recreation, and Historic Preservation, in cooperation with The Manhattan River Group, LLC and partners will receive $669,286 and match that amount with $235,154 to renovate an existing marina on the Hudson River to include space for 80 transient vessels, access to NYC, transient recreational boating amenities such as showers, dinghy dock, and pumpout as well as a Chinese junk for transportation between boats and land. The New York State Office of Parks, Recreation, and Historic Preservation, in cooperation with the Village of Greenport and partners will receive $105,963 and match that amount with $45,413 to add pedestals and improve electrical service to accommodate the needs of large, transient boats. The marina serves Long Island Sound and the Atlantic Ocean. The New York State Office of Parks, Recreation, and Historic Preservation, in cooperation with The City of Ogdensburg and partners will receive $501,311 and match that amount with $176,141 to add a new fueling station and berthing for 32 – 45 transient recreational boats on the St. Lawrence River. Tennessee: The Tennessee Wildlife Resources Agency, in cooperation with Norris Dam Marina (H&B Enterprises of Norris) and partners will receive $357,050 and match it with $357,050 to add 21 tie-up facilities to an existing 218 slip marina on the 73-mile long Norris Lake in Tennessee. The marina is currently full with seasonal customers and the project will include catwalks, utilities, restrooms, and showers to accommodate transient boaters. Texas: Texas Parks and Wildlife Department, in cooperation with Blackberry Island, LP will receive $511,210 and match that with an amount of $511,210 to refurbish an old industrial marina to create a marina for transient and other boaters. It will include new dockage for 21 transient boats, restroom/shower facility, and other boater amenities. Virginia: The Virginia Department of Health, in cooperation with The Town of West Point and partners will receive $570,043 and will match that with $575,444 to redevelop a vacant marina on the Mattaponi River. The project will create a full-service marina to include 41 transient slips, fuel dock, and restrooms. Washington: The State of Washington Recreation and Conservation Office, in cooperation with the Port of Anacortes and partners will receive $1,476,193 and match that with $1,447,532 to replace 2 docks with state-of-the-art floats and upgraded amenities for an estimated 54 transient slips. The project is located on a sheltered harbor on Fidalgo Bay in Puget Sound.